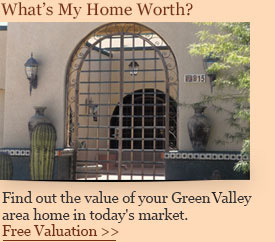 Welcome to Carolyn Fox’s Real Estate Resource for Green Valley, Arizona! 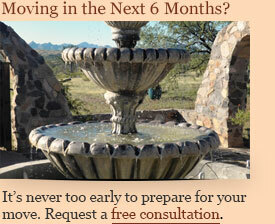 A real estate decision is so impacting in the lives of your family. When the time comes for you to make your move, or you need information about the Green Valley real estate market, count on the best—Carolyn Fox. She is an experienced professional who believes in providing you with nothing but the best in service and attention. Here on Carolyn’s Green Valley real estate resource, you’ll find a wealth of information to help you with your purchase, sale or even simple questions you might have about Green Valley real estate. Search for Green Valley homes for sale. View Carolyn’s featured Green Valley properties. Access helpful Green Valley real estate special reports. Bookmark this site for all your Green Valley real estate needs. Carolyn can give you the service, the resources, and the expertise when it comes to making your Green Valley real estate transaction a complete success and a positive experience from start to finish. After all, she’s The Best in the West!